A sign of amends, or just a test? What happened to Fling, Amazon's Chromecast clone on Fire TV? Amazon appears to be adding—or at least testing—Chromecast support for its Amazon Music service. 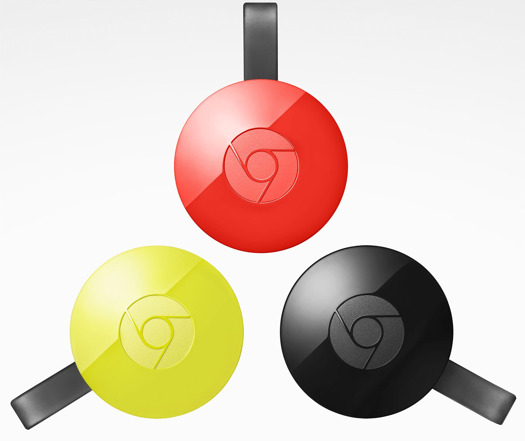 The Chromecast option, however, did not appear on a Samsung Galaxy Note8, Google Nexus 5X, or iPhone 6 Plus. It’s possible that Amazon is rolling out the feature slowly or just testing it. Amazon’s documentation and press website doesn’t mention Chromecast support, and the company has not yet responded to a request for comment. 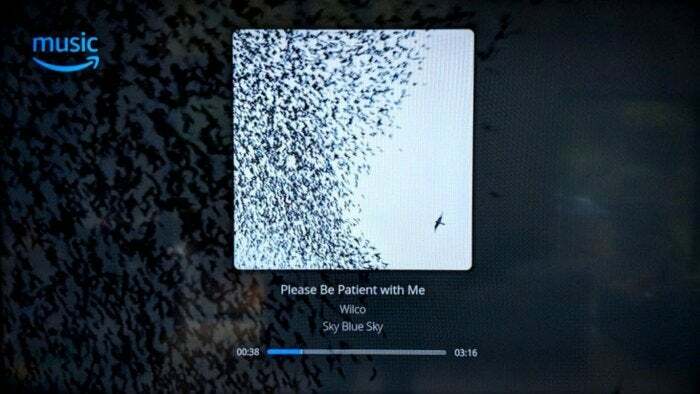 The story behind the story: The appearance of Chromecast support in Amazon Music is surprising given the rocky history between Google and Amazon. Two years ago, Amazon removed Chromecast from its online store, saying it wanted to “avoid customer confusion” by only selling devices that work with its Prime Video service. Of course, it’s up to Amazon to add support for those devices, but the company has not done so for Chromecast or Google’s Android TV platform. Meanwhile, Google continues to withhold its own apps and services from Amazon devices, such as the Fire TV streaming player. What’s next for Amazon and Google? This isn’t the only sign of Google and Amazon becoming slightly less hostile toward one another. In August, Amazon added a Prime Video app to the Google Play Store, allowing Android phone and tablet users to access the service without the hassle of app sideloading. Amazon Music playing on a TV via Google Chromecast. And while Amazon had previously used Prime Video as a way to lure people into installing its own Android app store, the company seems to be de-emphasizing that strategy. In April, Amazon shut down a program that offered free apps to users who went through the sideloading procedure. Still, Amazon Music has always been a bit more Google-friendly than Amazon’s video services. The app has been available through the Google Play Store for years, and it added Android Auto support in 2015. 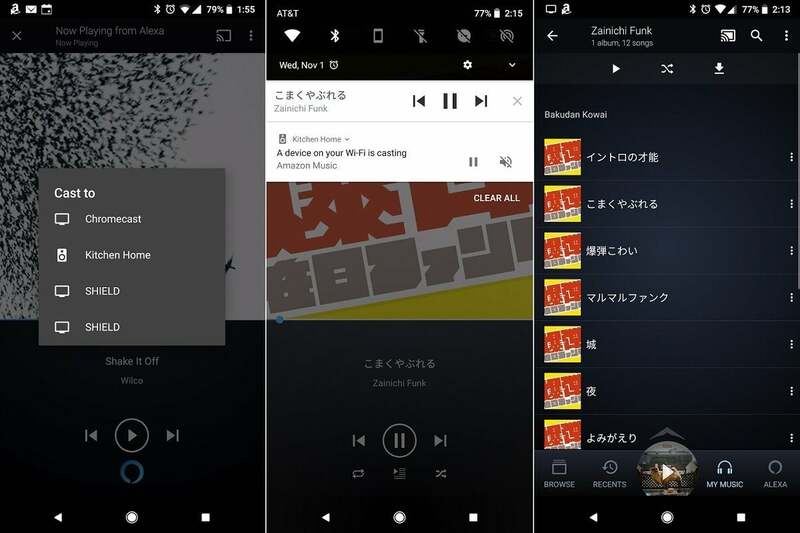 With Amazon offering a Spotify-style music subscription service for $10 per month, Chromecast support could help seal the deal for Android users who’ve otherwise stayed away. Now Amazon just has to make it available to everyone.